The nomination window for the largest and most prestigious awards programme in the customer contact industry opens today. 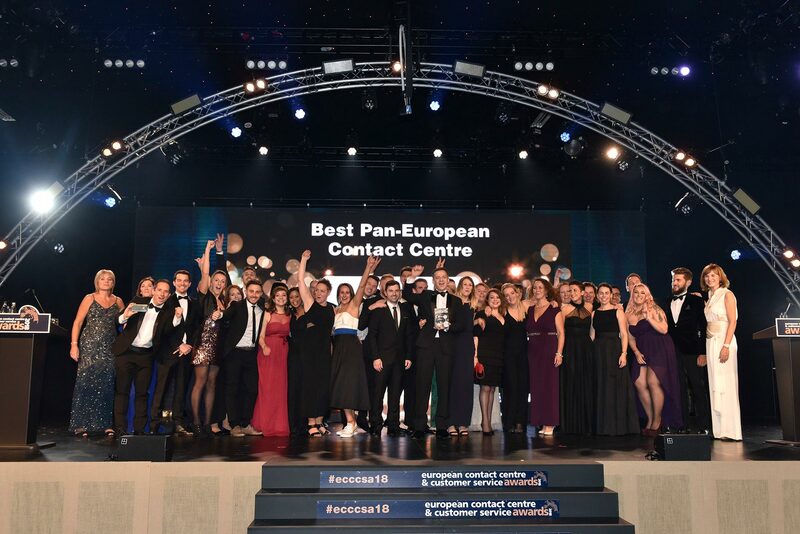 The European Contact Centre and Customer Service Awards (ECCCSAs) are now accepting entries until Friday 13 July 2018. The ECCCSAs (pronounced eksas) are renowned for the integrity and credibility of the judging process. High calibre judges are handpicked for their experience and knowledge and spend over 2,000 hours doing face-to-face judging. There are seven new categories this year including Best Implementation of Artificial Intelligence in Customer Service, Most Effective Health and Wellbeing Programme, Best Voice of the Employee Programme and Best Pan-European Contact Centre. The new categories reflect the activities that are having a significant impact on the customer experience. Nominations for the ECCCSAs 2018 open on Friday 4 May 2018 and will be presented at a lavish Awards Evening on Tuesday 27 November 2018 at Evolution, Battersea Park, London.